• EMBEDDED MEMORY – heritage buildings imbue localities with embedded memories. This is important for promoting civil pride and respect and promotes a sense of psychological reassurance in the sense that we trust places better if we know them as opposed to those places to which we have never been before. The fact that there are places with heritage buildings that may be hundreds of years old creates a sense of safety in our minds because we can easily tell that other people and previous generations have safely used and enjoyed those places before us – as we do now. • HISTORICAL RECORD – clearly, heritage buildings and places are a marker of time. They readily reveal to us how previous societies built their spaces, constructed their buildings. Selected their motifs and decoration and understand what they were attempting to achieve with their buildings. Respectfully, this assists us in understanding our culture because the history of a place is fundamental to how we continue to use those buildings and places. • SENSE OF PLACE – heritage precincts and places that have a contributory impact on local areas have the effect of instilling a sense of place insofar as communities, owners, visitors and users of such places are concerned. Their uniqueness compared with the general built fabric allows such places to stand out both in our consciousness and our memories. By retaining the buildings within the precincts so designated, we not only preserve the places for ourselves but for future generations as well just as previous generations have conserved those buildings for us. The cyclical nature of custodianship of cultural built heritage enhances a sense of place and makes such places memorable. 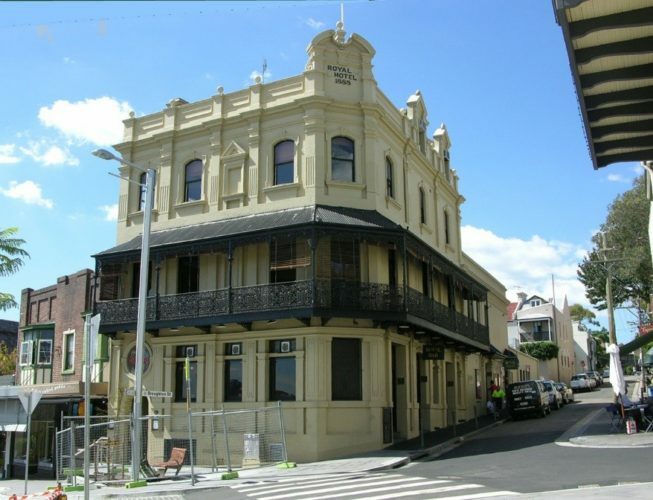 • APPROPRIATE TREATMENT OF PUBLIC GOODS – by nature, listed heritage buildings and conservation areas/ precincts are public goods even though the majority of them is privately owned. If we treat them as public goods for the benefit of everybody, we reduce the sort of irreversible changes that owners invariably want to or need to make to their assets. By adopting a principle of reversibility, theoretically, every new intervention can be removed without damaging original heritage fabric. If we treat them only as private assets, we do risk a slow by assured erosion of our valuable cultural assets. • RE-USE RATHER THAN NEW – we know that contemporary society has a throw-away attitude to most objects including plastic water bottles of single use, cheaply made furniture which only last for 3 years if that long and building products that have no known proof of long-term durability. However, the erstwhile culture of even seventy years ago and more was different. Things were made with pride and they were made to last. The skilled tradesperson is always recognised for his or her good work. Society does not value cheaply made objects/ buildings/ landscapes/ environments that have little thought or value put into their making. By contrast, heritage buildings were made to last. The pride with which they were made (crafted) is the same pride that we as later generations and the generations that come after us will come to appreciate and hopefully conserve. • GOOD FROM A SUSTAINABILITY POINT OF VIEW - “Cultural and natural heritage sites around the world can only be protected if the continued degradation of the global environment is reversed, while improving the lives of those living in poverty.” (Francesco Bandarin, Director, World Heritage Centre, 2002). Heritage and sustainable development are intimately linked. The goals of sustainable development are continually assisting heritage conservation internationally. Sustainable development is raising awareness about heritage conservation in maintaining our cultural identities, especially amongst indigenous nations (Susan MacDonald Heritage & Sustainability – A Discussion Paper – OEH, 2004). • CREATES JOBS – GOOD FOR THE ECONOMY - In a world where more than half of the population already lives in cities and more than 90 percent of urban growth is occurring in the developing world, cities often struggle to modernise without losing the unique character embodied in their downtowns and historic cores. Reusing built assets and regenerating underutilized land in central locations ties into the best practices of inclusive growth, the pathway to sustainable development. The benefits of investing in downtowns and their heritage for livability, job creation, and local economic development have been increasingly studied and debated over the last few decades, and the economic theory underpinning investment is becoming substantially more robust, as well as financing tools to make it happen. A city’s downtown can differentiate that city from competing locations, branding it nationally and internationally and helping it attract investment and talented people. Studies show that the cities that are the most successful at attracting investment and businesses to meet the aspirations of their citizens, while alleviating poverty and promoting inclusion, are those that are able to harness all of their resources - including the heritage in their historic cores (The Economics of Uniqueness: Embracing Cultural Heritage, World Bank, 2012). “Heritage anchors people to their roots, builds self-esteem, and restores dignity. Identity matters to all vibrant cities and all people,” says World Bank Vice President for Sustainable Development Rachel Kyte. Fig. 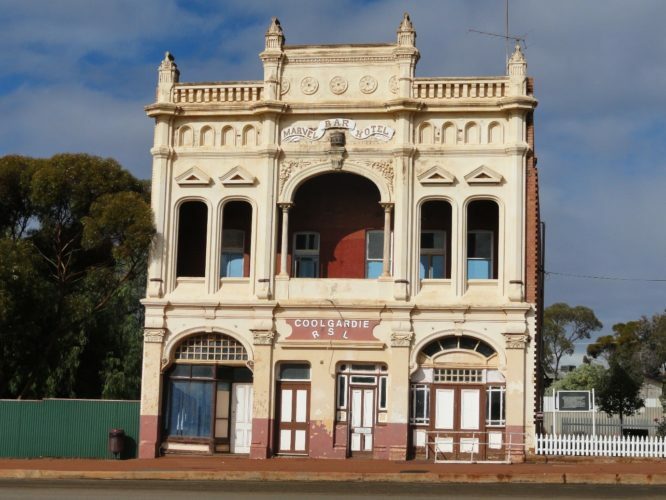 3 – RSL in Coolgardie, Western Australia showing retention of 1880s heritage building in the street. • PROVIDES INTEREST TO COMMUNITIES AND TOURISTS - Traditionally the identification and preservation of heritage has been driven by community aspirations about preserving connections with history and ancestry as part of the national identity. 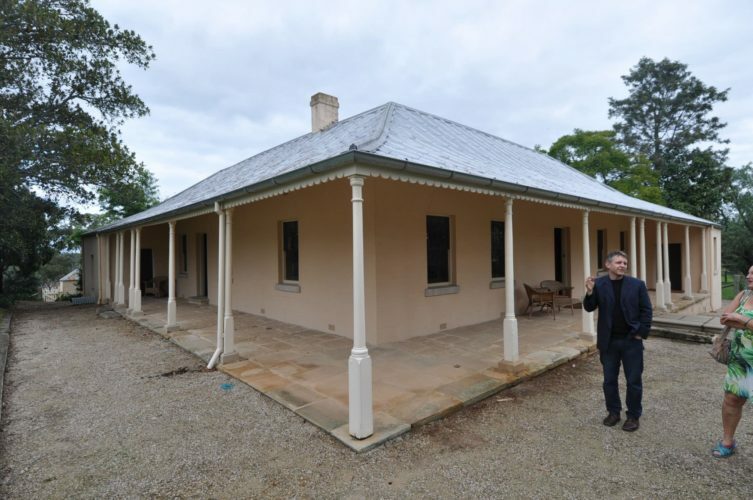 Heritage conservation can be expensive, both to the public purse and for property owners. The expense may lie in the cost of restoring and conserving the fabric of a place or the cost of economic opportunities foregone in alternative use of the site. Heritage tourism can provide an economic reason to preserve that heritage. No heritage, no heritage tourism. An added benefit from heritage tourism is the chance to change community perceptions of the way in which heritage places should be treated. They learn about, as well as enjoy the experience. There are examples of strategic approaches that have been developed for heritage tourism. However, few initiatives have produced a tactical framework that plans and delivers heritage tourism to the visitor. Most have focused on what tourism deliverers should not do – rather than on what they can do and how they can do it (Delivering the Social and Economic Benefits of Heritage Tourism, Bruce Leaver, 2012). • REGENERATES URBAN, COASTAL AND RURAL AREAS - The link between heritage as a consumable experience and urban regeneration as an economic development activity is potentially attractive, widely exploited, can be assumed to be self-evidently symbiotic but conceals the different motivations and aspirations of different stakeholders. The instrumental use of heritage in regeneration is a global phenomenon, often linked into both strategies seeking to develop so-called cultural industries and a process of ‘place-making’, a term variously used by urban designers in establishing attractive physical locales as part of the backdrop of successful social space and, more critically, to be synonymous with place-branding. Thus, some policy of conservation is near-world-wide and indeed the utilisation of heritage in processes of regeneration is near-world-wide. However, the specific dynamics and articulations of these processes vary widely according to national and local institutional frameworks and how effective these frameworks are in regulating and otherwise influencing practice. Further, such policies are developed within very different economic and political contexts. The evolution of uses of the past in urban planning starting with a preservation paradigm (sustaining historic monuments), through conservation (managing urban change) to a heritage paradigm (a further shift from object to process, outcome and utility). The local state is usually a key actor in development processes and has a major impact on the nature of the project executed. Outcomes vary enormously from sensitive conservation following international benchmarks of good practice to removal and reconstruction (Pendlebury, Heritage, Urban Regeneration and Place-making, Journal of Urban Design, 2017. Fig. 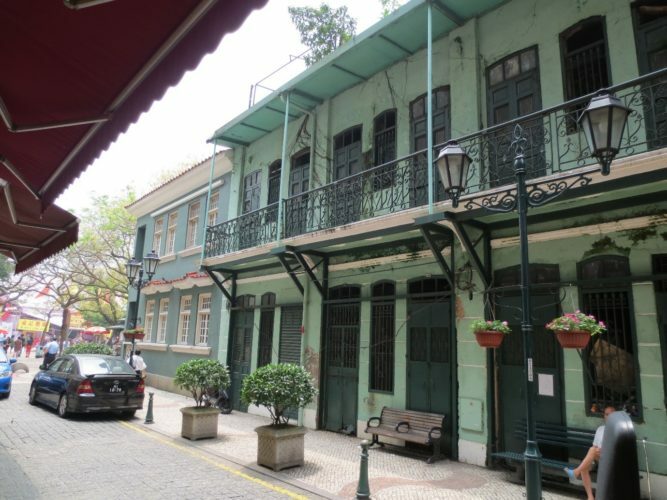 4 – Macau, China – local shopping village with heritage setting. • PROVIDES A LEGACY FOR THE FUTURE - Today, we examine heritage as a ubiquitous trope in contemporary society, a seemingly inescapable figure for relations to the past. Inheritance has been an important metaphor for characterising cultural and political traditions since the 1970s, but one criticised for its conservatism and apparent disinheritance of new immigrants. Engaging with contemporary literary and cinematic texts, an examination of the phenomenon of heritage seeks to interrogate the bestowing past, receiving present, and transmitted bounty that the past enjoins with the present to conserve its legacy into the future. However, heritage offers an alternative to modern market-driven relations, transactions stressing connection only through a momentary exchange that connects the past to the present. Heritage contains competing impulses, subtexts largely unexplored given the trope’s potential lapse into cliché. Heritage charts how these resonances have developed into a more contemporary aspect to include postmodernism, the tourist industry, the historic environment, and metaculture (Ryan Trim, Heritage and the Legacy of the Past in Contemporary Britain, Routledge, 2017).